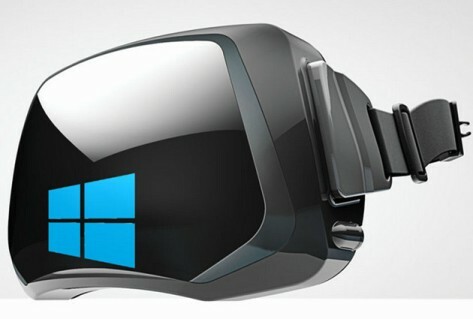 Microsoft will manufacture a virtual reality device for Xbox in 2015. It is not known whether it is a helmet, goggles or a type of “crown” device, but it is certain that Microsoft will not stay out of these systems. It would be the answer to Sony Morpheus project a virtual reality helmet with 5-inch screen for viewing the action with a field of view of 90 degrees, a 1080p Full HD video resolution and 3D surround sound. In principle come to the PlayStation 4 console, ignoring availability or price, but also entertainment would be used in other sectors and the Japanese firm is working with NASA technicians to carry the Morpheus project for space exploration. Both the development of Sony like Microsoft would reach the heat of the momentum of the designs of Oculus VR, specializing in virtual reality that counts among its ranks with the genius of 3D engines, John Carmack and company partners like Samsung, developing collaboration devices like the Samsung Gear VR. No company left out of these virtual reality developments especially focused on entertainment. Neither Microsoft, with other developments as “Fortaleza” a wearable based on Kinect similar to Google Glass. How Are Smart TV Apps Changing Consumers’ Buying Habits?